Zizzis (right) will follow a proven path for syndicator Joe O’Neill after winning at Caulfield. Zizzis is Gold Coast bound for the Magic Millions Guineas after her all-the-way victory at Caulfield. Managing part-owner Joe O’Neill outlined plans for the $120,000 Magic Millions purchase after her victory in Saturday’s QMS Media Plate. O’Neill has the Listed Jim Beam Black Stakes in mind for Zizzis. “I won it a few years ago with Hijack Hussy which was the race before the Melbourne Cup,” O’Neill said. Ridden by Craig Williams, Zizzis was backed from $8 to $6.50 before scoring a short half-head win from Khulaasa ($5) with Zargos ($8.50) a head away third. 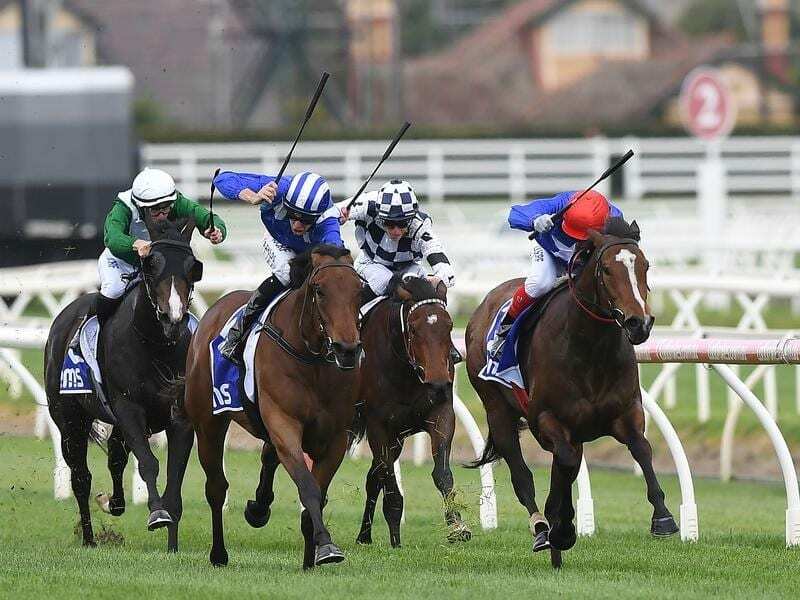 O’Neill said circumstances had been against Zizzis early in her campaign when she raced on the wrong side of the track at Flemington first-up before being caught in traffic at Moonee Valley. “It’s disappointing when you’ve got these nice fillies and nothing goes right,” O’Neill said. Trainer Patrick Payne didn’t get to see his only runner at Caulfield on Saturday because he was caught in traffic.